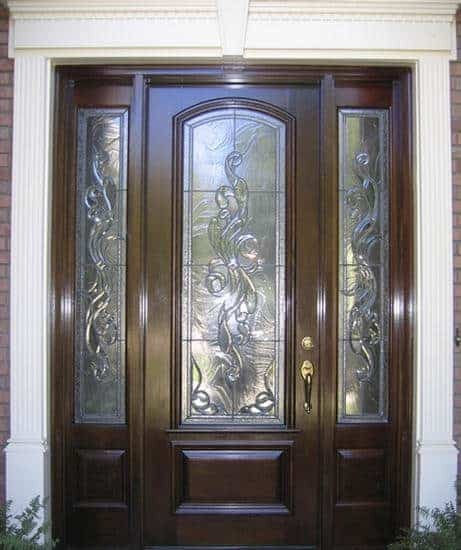 This elegant Front Exterior Entry is a 36″ X 96″ Mahogany Style “E-2″ Door with a pair of 14″ X 96” Mahogany Style “E-2” Sidelites. The door is dressed with our Standard Raised Molding and Ledge and Dentil. 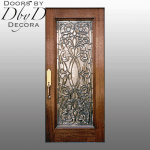 A Custom design of Leaded, Beveled, and Textured Glass sets this door apart.